You are here: Home / Caregiving / Redefining Disability Week 2: How do you view the concept of disability? 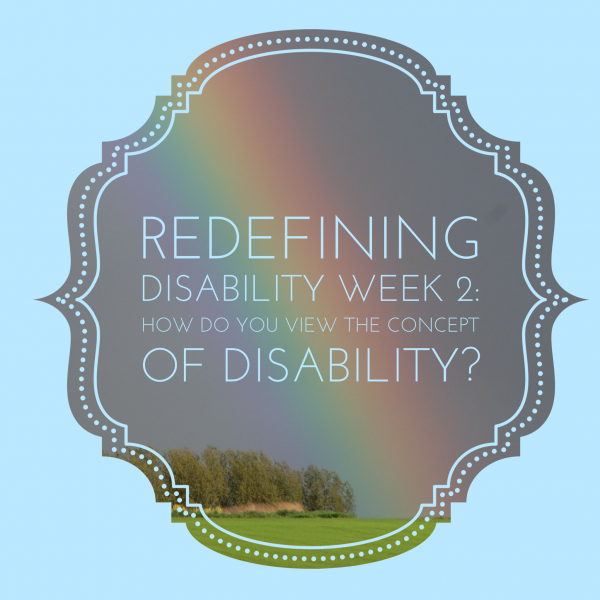 Redefining Disability Week 2: How do you view the concept of disability? To be honest, the word disability irks me. I find it irritating that we use this word with its negative connotations to talk about fellow human beings who just happen to think, act, or look different than some of the rest of us. As a parent of five beautiful children who all have some qualities which differ from the general population, I pursued diagnosis of “disability” to obtain access to the services my children need to be successful. I know other parents who have firmly rejected any sort of diagnosis. I don’t blame them. Sometimes the stigma attached to the label isn’t worth the dollars you are able to access with the label. Why is it that we focus on the negative qualities of these individuals? Why can’t we focus on the benefits, the special abilities they have? Both of my daughters are extremely creative and artistic. Perhaps they wouldn’t have these qualities if they didn’t also have the other qualities that cause so much struggle and consternation some days. One of my sons is a gifted storyteller. Another son knows more about vehicles than 90 percent of adults. Memorizing facts is another gift. Why is it that the general population is allowed to hide their weaknesses by focusing on their strengths, but the people who already struggle are forced to focus on their weaknesses, sometimes to the detriment of their passions and strengths? One of the benefits I enjoy most about writing and blogging is meeting other people who share my passions. One of my blog hop participants is Rose B. Fischer. Last year she started a Redefining Disability Challenge. This year she is continuing to invite people to join the challenge by blogging about a set of questions she developed. I’ve decided to join this challenge and most Mondays will be answering one of her questions.